Discover how to leverage your course evaluations to increase your program’s success. In this webinar, you’ll learn the top three ways to evaluate, as well as the four kinds of evaluations to use for your courses. You’ll also take home tips on evaluation design and format. The webinar is scheduled for 2 p.m. ET/ 1 p.m. CT/ Noon MT/ 11 a.m. PT on Tuesday, Aug. 4. The presentation will also be recorded and sent to all registrants. The webinar is free for members and $99 for non-members. 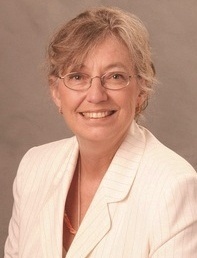 Your instructor, Julie Coates, is LERN's Senior Vice President for Information Services. Originally a constituency representative for campus-based programs, and later a member of the LERN Board, she joined the LERN staff in 1986 and has been a LERN leader for 38 years. Her current areas of focus are on membership development and content creation. Her areas of expertise are in generational learning, management, and communication, trends, and program management. Julie spearheads the LERN Master’s degree program in partnership with the University of South Dakota does online training and teaching on gender in education, students with autism spectrum disorders, and generational learning styles. She also serves as an adjunct faculty member for the University of South Dakota's Master's Degree in Education Administration.